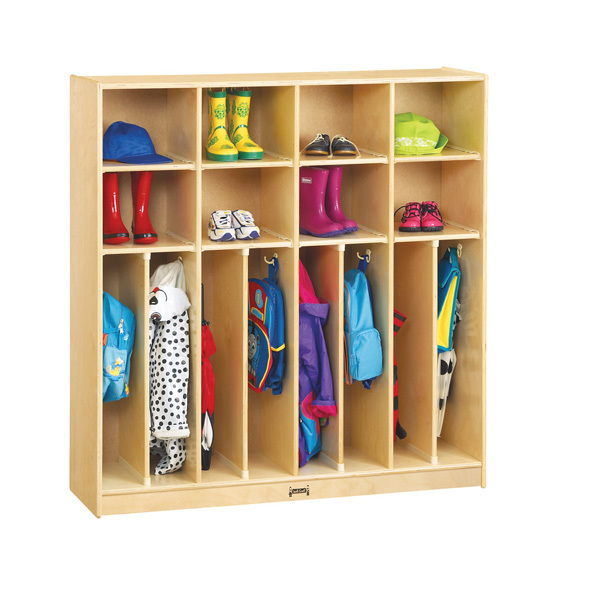 Have a small space in your entrance but need a locker with lots of storage? 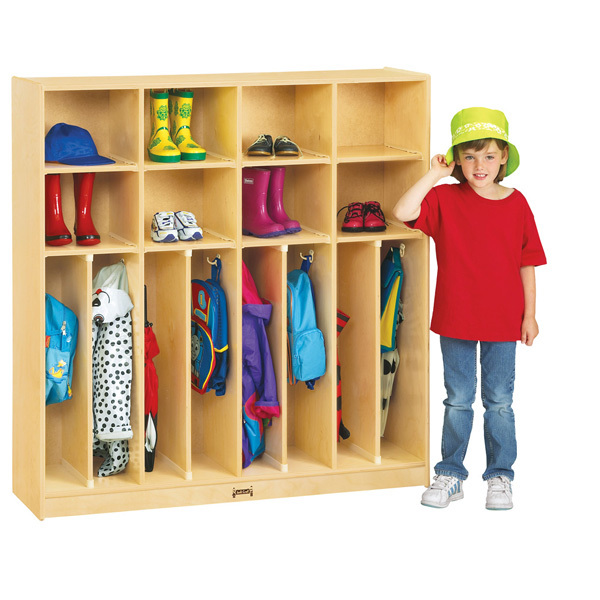 This eight section locker features one double coat hook is side mounted in each of the eight lockers for hanging jackets and bags. 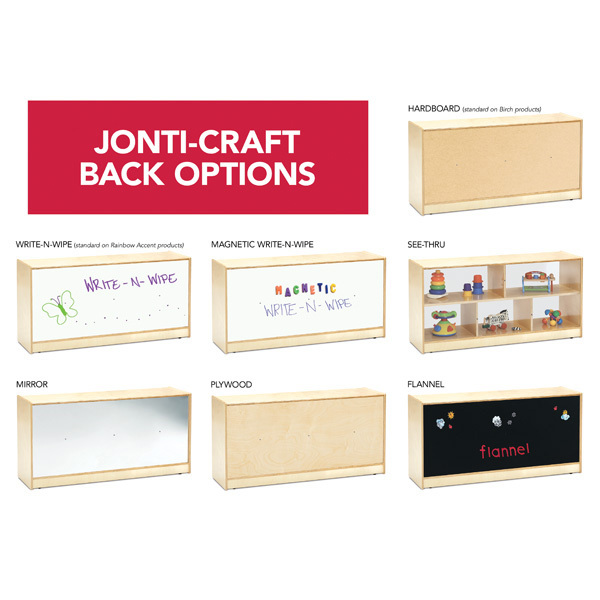 Eight open compartments above are great for storing hats and lunchboxes.